"You & God" is a prayer book for 11 to 14s, but it is not a traditional kind of prayer book! 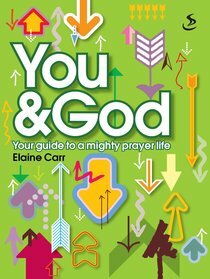 Rather than being full of prayers for young people to read, "You & God" encourages the user to pray in many different ways, thinking about all the different parts of their life. Written in a journal style, young people are encouraged to write, draw and stick things in as they pray and look for God's answers to their prayer.